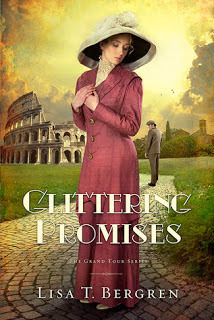 Glittering Promises picks up where the second installment, Grave Consequences, left off. Cora’s tour across Europe has opened her eyes to a family she never knew, a love she’d always longed for with their tour guide, Will, and a world she never thought she’d experience. However, as her travels come to an end and she considers her future, Cora wonders if everything she’s gained will be left behind in Rome. A complex web of manipulation and circumstance sends her reeling, and she must find the strength, wisdom and faith to find her way home. As the tour continues, Cora is faced with a barrage of journalists who are tracking the news story of the decade — “Copper Cora,” the rags-to-riches girl — and want to know more about her family and the men vying for her attention. 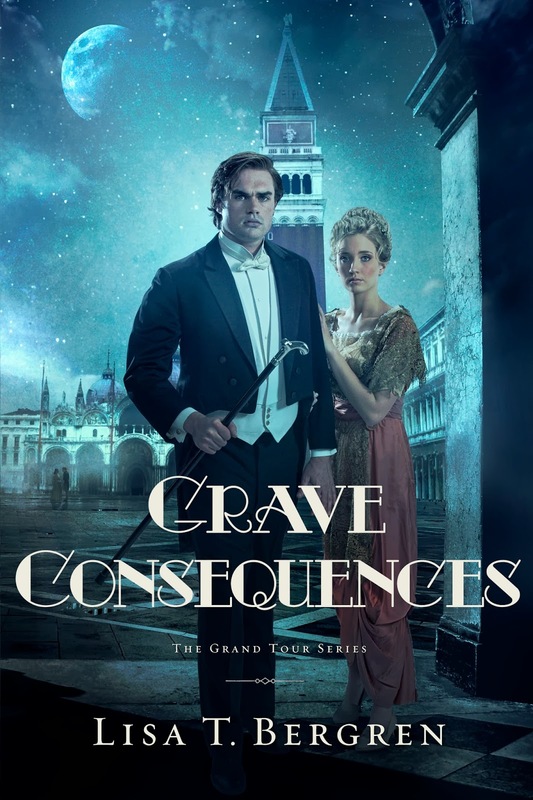 Meanwhile, Will is also struggling with Cora’s newfound wealth, and she begins to wonder if their love is strong enough to withstand all that threatens to pull them apart. Complicating matters is the stubborn pursuit of Pierre de Richelieu and the increased demands on her time and attention. America’s newest heiress must decide what direction her life will take once their tour is over. Is her potential fortune reason enough to give up her freedom and all the life God is leading her toward? When the siblings she has just met are faced with a crisis, her quandary deepens. While Cora fights to remain true to her past, reconcile her present and still embrace her future, there is one thing she has become sure of: Wealth cannot buy peace or direction. Once they arrive in Rome, Cora knows it’s time to decide who and what defines her and who and what does not. Not only does Bergren vividly paint the landscapes of Europe, she serves up savory bites of 1913 history happening around the events within the story. The Grand Tour series is a captivating trilogy sparkling with real-life edge, rich characters and a deeper message for the series that has received critical acclaim. 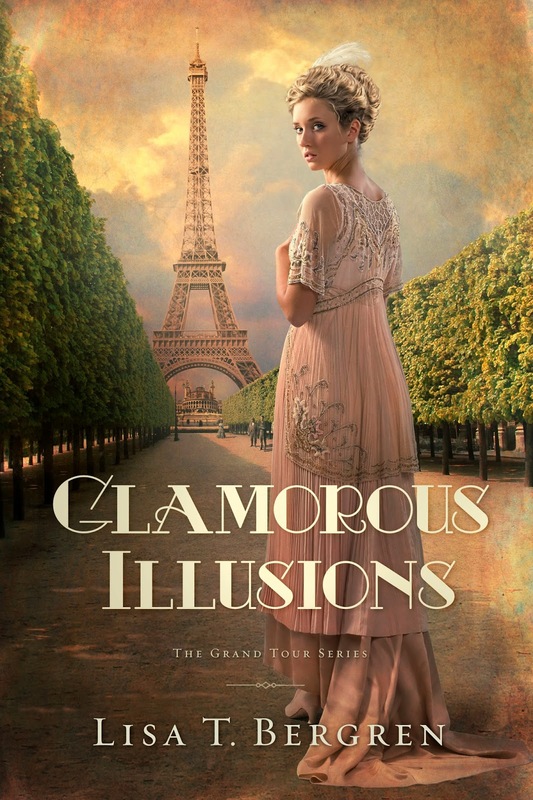 The first installment, Glamorous Illusions, was a RT Book Reviews Top Pick and one of their 2012 Reviewer’s Choice Award Nominees for Inspirational Romance. 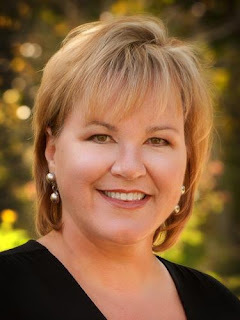 Learn more about Lisa T. Bergren and The Grand Tour Series at www.lisatawnbergren.com. 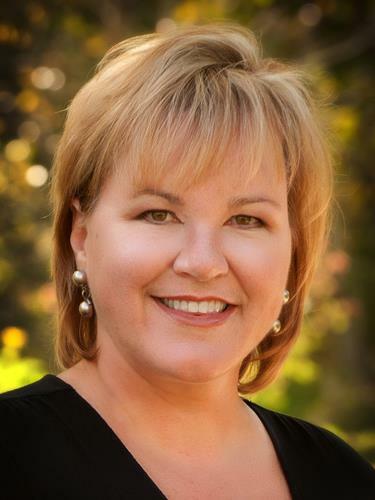 Lisa T. Bergren is the award-winning author of more than forty books, with over 2.5 million copies sold. She has written fiction and non-fiction for readers of all ages—children, teens and adults. A former publishing executive, Bergren now divides her time between writing, freelance editing and ministry. Bergren loves to travel, especially for writing research, and dreams of her next trip to Italy. Lisa and her husband, Tim, are the parents of three and live in Colorado Springs.